bloodhound SSC 1,000 mph | as pro engineering ltd.
Bloodhound SSC is a supersonic car, designed and built in the U.K. to break the FIA World Land Speed Record and achieve speeds in excess of 1,000 mph. Led by Richard Noble OBE, this high-profile British engineering project attempts to overcome some major technical challenges, as well as to inspire a future generation of engineers across the world. "as pro engineering ltd. delivered the high quality parts we needed in plenty of time and we're thankful for their involvement in the project"
as pro engineering ltd. was delighted to be accepted as a product sponsor to the project, as highly ambitious and extremely challenging projects such as this, are right up our street. as pro engineering ltd. supplied a variety of cnc precision-machined parts for the bloodhound SSC car, including components used in their EJ200 Eurofighter jet engine. 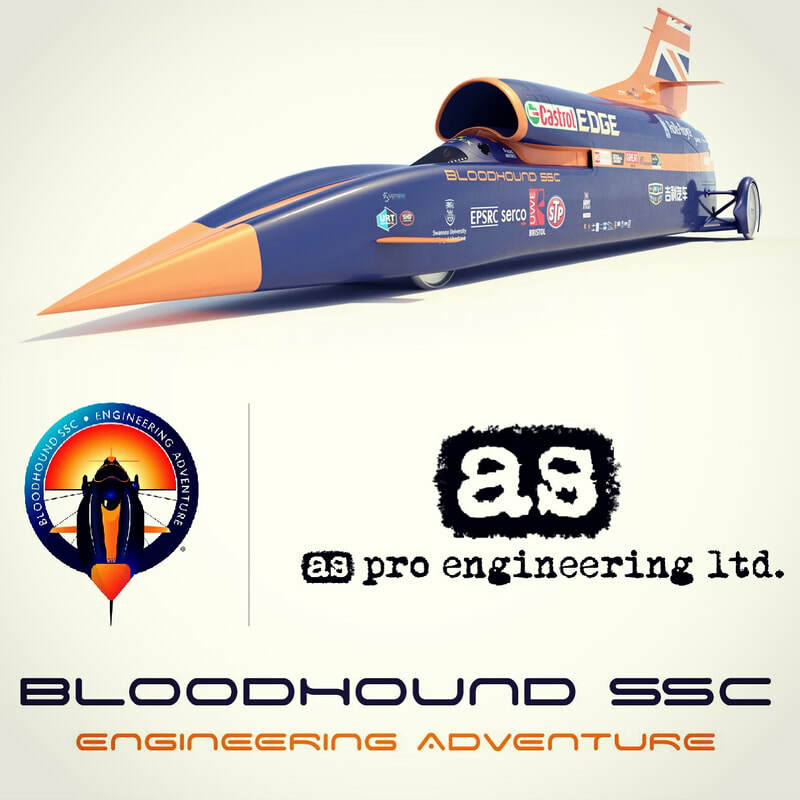 We wish the bloodhound SSC team all the best and will be there supporting them for their record attempt in South Africa 2019.